If you were waiting patiently for Amazon Prime Day to get your hands on some cut-price goodies, your wait might have just got a lot shorter. That's because today marks the start of the Amazon Spring Sale where Amazon has reduced prices on thousands of items on everything from mattresses to laptops to Kindles to cameras. 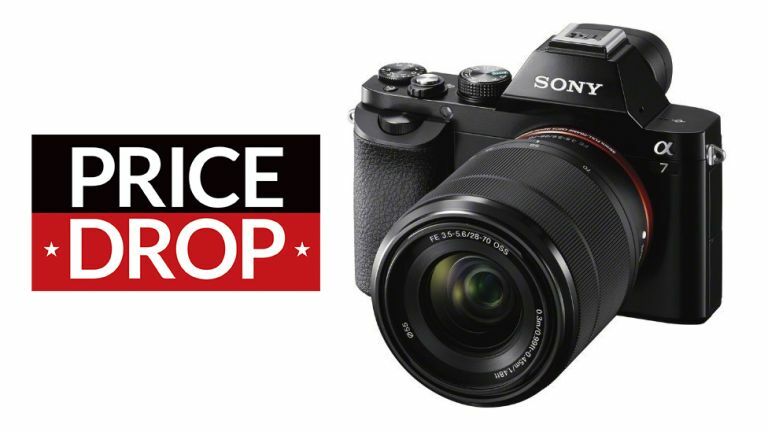 And it's cameras we need to talk about here as we've just seen that the Sony A7 full-frame mirrorless camera with an 28-70mm f/3.5-5.6 OSS lens has had its price reduced to a very nice £690.00. That's a saving off £859.99 (55%) off the RRP of £1,549.99! If you're looking to up your photography game from a compact camera or phone, then this Sony A7, which features a 24MP sensor capable of capturing Full HD movies to 60p, is a great way to do just that. This particular deal is a Lightning Deal, meaning that while the Amazon Spring Sale runs until midnight on Monday 15 April, this deal will expire at midnight on Monday 8 April. Note, too, that Amazon won't have unlimited stock, so it could sell out before then.